After binge-reading about New York Fashion Week on Friday night, I woke up the next morning excited to get dressed. 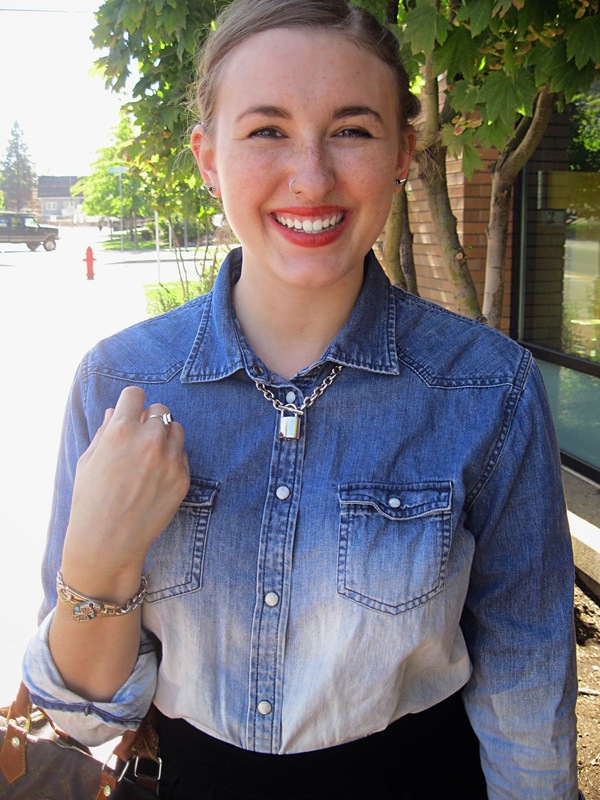 Orange-red lips, braided hair, this lock necklace, and the chambray tucked into black dress shorts were not only present during NYFW 2014 but also made me look hot as all hell. I love this look because it looks awesome in this summer-fall transition period.